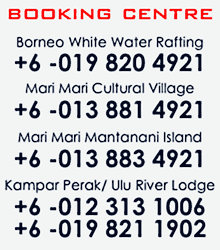 WHITE WATER RAFTING KAMPAR TOUR in GOPENG PERAK Malaysia | RIVERBUG - Discover Sabah, Borneo With Us! *for a complete list of inclusive items, kindly check the checklist below. 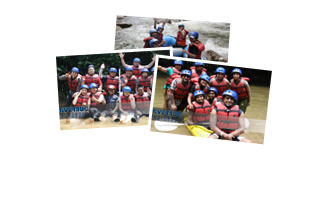 On the river, you will have the thrills of tackling exciting rapids and floating down the clear water river amidst a lush rainforest. You will ride the continuous rapids graded from class I-III, and continue down river, passing by some old tin mining plains. Have fun during the rafting like do some body-rafting or even take a spin in the raft with your head in the water....or just get to the traditional fun of water fight with your fellow rafters! Get wet and get in touch with nature once more! Arrive starting point. 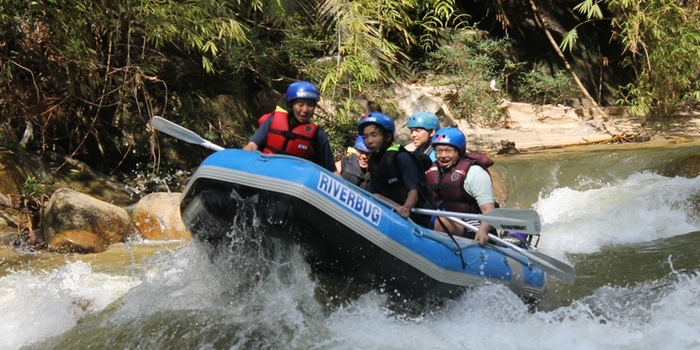 Put on white water rafting equipment, safety briefing will be given by RIVERBUG guide. White water rafting commences. Covering the distance of 7 km with 9 big rapids along the way. The journey takes around 1 1/2 - 2 hours. Upon arrival at the ending point, Light meal is served with cold drinks. Rafting photo shots can be purchased online.